I was lucky enough to be contacted a few weeks ago by the Marketing Coordinator of RunStopShop, a fantastic online fitness store (http://www.runstopshop.com.au/) to be a brand advocate for them and try a few of the awesome products that they stock. This blog post is one of two posts to review the first two products I received. As well as ooohhing and ahhhing over the many, many fitness products, I also spent some time finding out more about the company and I love that their purpose is simple: to provide the products which enable you to get the most out of your active lifestyle, and enable you to reach your goals faster. This is something I’m all for…. as a busy mum of 2, who is not only on my own fitness journey, but who also motivates and trains many mums who are all embarking on regaining their health, fitness and active lifestyle! The timing could not have been more perfect, I was literally in the market for a fitness activity tracker and was researching different brands so when I saw the Polar Loop 24/7 Activity Tracker I knew I had to have it. It looks great, is extremely easy to set up and is very comfy to wear. I love that it is simple to use and displays all the important information at the touch of a button but also has a smartphone app and website syncing which provides an accurate insight into your everyday activity and movement & sleep habits. I am definitely someone who is driven by having goals and targets to reach so, in the week that I have been wearing it, I have been so motivated to reach my daily fitness activity goal of 14,000 steps. Another feature I really like is that it tells you how much more activity you need to do to reach your goal (eg. jog for 30 mins or walk for 1hr 15). So far, I have achieved my goal each day. As a mum of a 10 month old baby, who isn’t the best sleeper, I am up A LOT during the night to breastfeed her, so even though I am aware I am getting a very interrupted nights sleep, it has been good to see how much restful sleep I am getting at night. 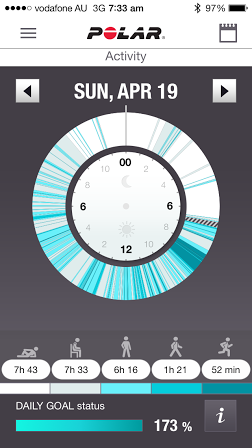 It accurately shows the times I get up and I find it quite amusing to see the tracking of me walking to her room (blue activity lines) and then sitting in the chair feeding her (grey activity lines) and then walking back to my room again and going back to sleep….. hey, at least I’m getting extra steps in my day. There are 24 usable hours in every day…. it’s no wonder I’m reaching my target. 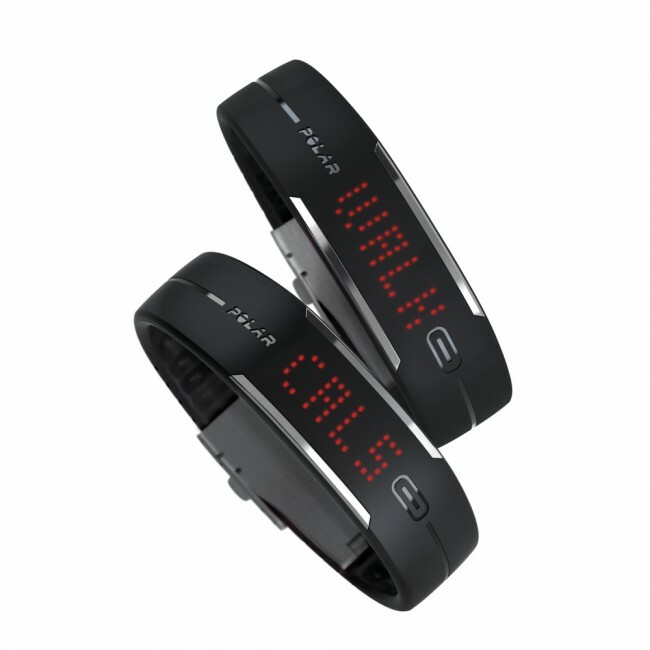 So, although I have only been wearing my Polar Loop Activity Tracker for 1 week, I am hooked! I only take it off to charge it and I am much more aware of my movement and activity patterns and I am making sure I am staying active throughout the day. If you are looking for extra motivation to help you on your fitness journey and want to track your daily fitness, activity and sleep then I highly recommend using an activity tracker and, personally, I am loving my Polar Loop. I think it is on sale at the moment and you can shop this awesome product here.